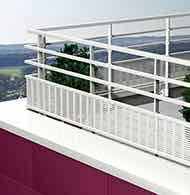 Rivnet is an aluminium roof edging and parapet wall raising system. 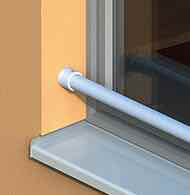 The function of a drain or weather drip strip, to keep rainwater away from the external wall facings and thus protect them. 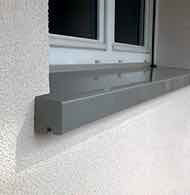 To provide a stop to mask the roof covering at the edge of the parapet wall. 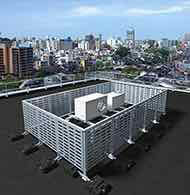 Following the installation on a flat roof, the parapet wall raising allows the flat roof covering to be increased when the height of the parapet does not comply with DTU rules. 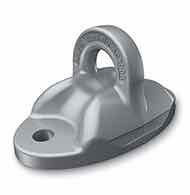 Available in raw aluminium or any other RAL colours. 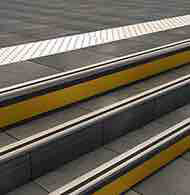 Standard length of 3000 mm. Delivered with the fixing holes already in place. 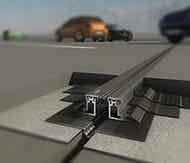 The 80 series contains 5 edging strips that will resolve most cases. Has a 80 mm fixing flange with a downstand. 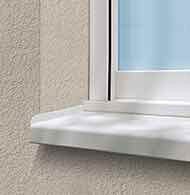 Profiles in standard lengths of 3000 mm, factory-drilled at 300 mm centres. 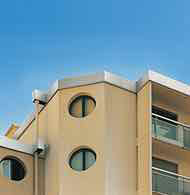 A cold sealing compound needs to be applied for proper adhesion and weatherproofing. The application of a cold sealing compound to the background and to the Rivnet are important for proper adhesion of the weatherproofing. 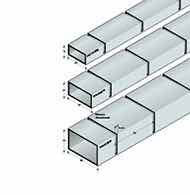 Profiles in standard lengths of 3000 mm, factory-drilled a 300 mm. 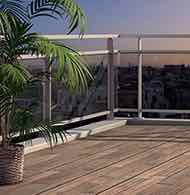 *a cold sealing compound is required to ensure the weatherproofing sticks. 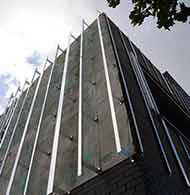 The shape and dimensions of Rivnet allows, in unique instances, a building's thermal insulation from the outside to be linked. If your construction site's insulation requires another solution, visit the Bandonet page. 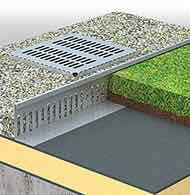 Bandonet has a band course system for adaptedinsulated parapets. 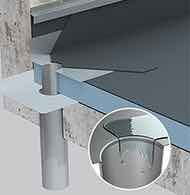 Downstand of 20 mm can hide the seal of the waterproof complex. 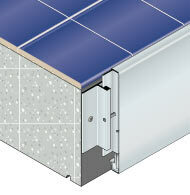 Flange of 160 mm adapts insulated façades from the outside. 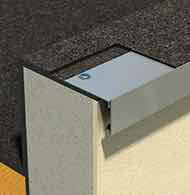 A combination of several Rivnet pieces can create an upstand of any required height. In this case, Rivnet is delivered in two parts. 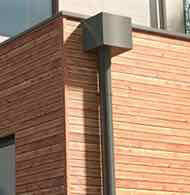 The holes are drilled speicifc to requirements allowing an easy installation. In your orders, always state the type of composed Rivnet chosen. The first figure always indicates the upper Rivnet, and the second indicates the lower Rivnet. From the 5 standard models, it is possible to composed 20 models. 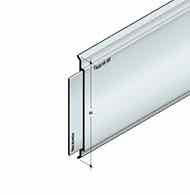 Profiles in standard lengths of 3000 mm, factory-drilled at 300 centres. 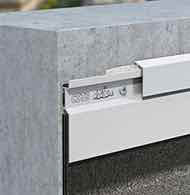 The 115 series contains 5 profiles that are characterised by a 115 mm fixing flange providing a stable bedding and bracket from the external wall. 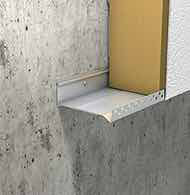 Usable as an edge strip or as a parapet wall raising piece, the profiles of the 115 series come as one. They have a common overlap of 42 mm and differ in their upstand of 43 to 158 mm. The system is supplemented by the Chapeau Rivnet profile, which protects the roof covering at the top and is fixed by interlocking and polyurethane mastic adhesive.